Pictures Kuzma Petrov-Vodkin rightly considered the first examples of the genre of socialist realism. Many of his paintings of the Bolshevik period are really remembered and stored in the memory forever – but still the most vivid works of Petrov-Vodkin, no doubt – these are portraits. With the help of very meager means, the artist managed to transfer the characters of his heroes so precisely that no additional methods were required. Maria Fedorovna, the wife of the artist, was for him a constant and permanent model. 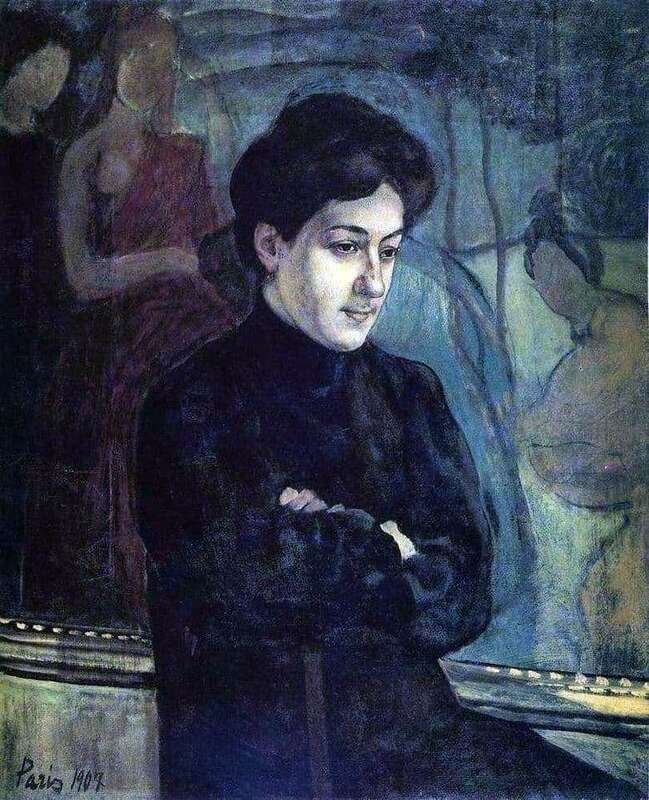 There are several of her portraits, written at different times, different in mood, but the portrait of 1907, no doubt, is the most famous and characteristic. This is the first portrait of Mary, written after she became the wife of the artist. Kuzma got married late, before that he spent many years alone, and therefore he didn’t like to see his wife. Mary’s real name was Mara, she lived in France, where the artist met her – but when she married Petrova-Vodkin, she took his last name and added a Russian middle name to the name – the girl’s father was named Theodore. The painting depicts a young woman in the dark, a bit sad. Life did not indulge Kuzma and his wife – the paintings sold poorly, there was no money, and the young wife’s hopes of a comfortable life with a famous artist immediately broke to pieces. But she stoically endured everything that fell to her and her spouse. A smart, tolerant and positive woman in all respects – this is how we see Maria in the portrait painted by her husband.